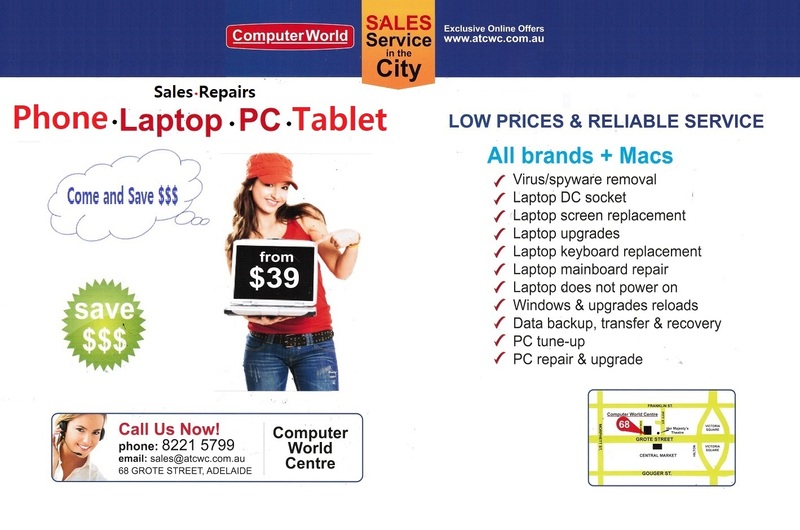 Repairs/Sales - Laptop & PC Repair Laptops, PCs, Macbook from $39 New Used laptop PC sales. Visit the story today. Phone Repairs iPhone, Samsung, Huawei, HTC, Sony, etc.. all brand Quick Service! Low price from $39. Insurance Quote Insurance quote: accidentaly damaged Phone, laptop, PC, Games Console, TV, etc. COPYRIGHT © 2011, COMPUTERS WORLD PTY. LTD.